The EDILE project is coordinated by the ANIMA Investment Network, which serves in a Vice-Presidency role for “Investment” at OCEMO. For OCEMO, this programme comes under its “Investment - Businesses” focus. 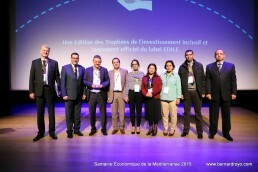 The EDILE programme (Economic Development through Inclusive and Local Empowerment) was adopted following a call for ENPI CBC st andard projects in 2011 by a consortium led by the ANIMA network with OCEMO, bringing together Tunisia, Palestine, Lebanon, Italy and France. 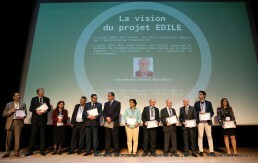 The EDILE project aims to optimise the positive impacts of investment projects and promote sustainable and inclusive economic development in the Mediterranean. EDILE seeks to promote the inclusive development of local economies by better assessing investment projects. This project aims to offer assessment tools and to support the organisations responsible for the regulation and implementation of investment projects, so that they can generate maximum positive impacts locally, particularly in terms of employment, subcontracting and respect for the environment. 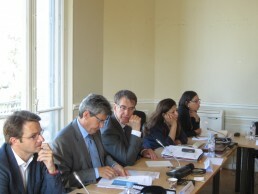 Forty actions are planned for 2014 and 2015 in Lebanon, Palestine and Tunisia. Since 2000 and up until the recent revolutions, Southern Mediterranean countries have enjoyed increasing flows of public and private investment. However, these projects have not always reaped the positive results anticipated. Impacts on the local economy are still limited and negative consequences are sometimes underestimated. In addition, procedures and tools for assessing projects are poorly developed, and the public authorities involved in regulating investments lack assessment skills. 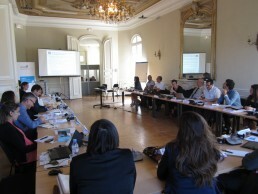 The actions carried out under the EDILE project aim to build the capacities of local authorities involved in regulating investments so that they can make the best possible choices, and to improve governance processes, particularly by implementing tools for coordination and dialogue between public and private players, local and national administrative bodies and civil society. Partners: Chamber of Commerce, Industry and Agriculture, Beirut and Mount Lebanon (CCIA-BML, Lebanon), Palestinian Industrial Estate and Free Zone Authority (PIEFZA, Palestine), Agency for the Promotion of Industry and Innovation (API, Tunisia), Office of Economic Cooperation for the Mediterranean and Middle East (OCEMO, France), ClassM (France), Toscana Promozione (Italy), iesMed (Spain). 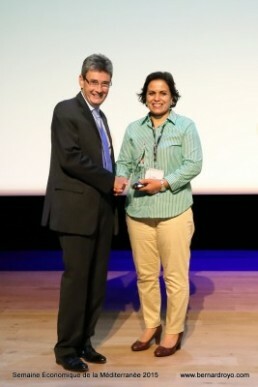 Associated partners: BusinessMed, Ministry of Regional Development (Tunisia), WWF (Italy), PACA Region (France), Agency for Sustainable Mediterranean Cities and Territories - AViTeM (France), French Development Agency - AFD (France), Invest in Greece (Greece), Mediterranean Finance Consulting - FCM (France), Deposit and Consignment Fund - CDC (France).